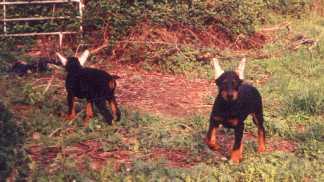 " (1999). 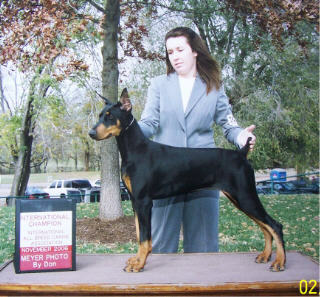 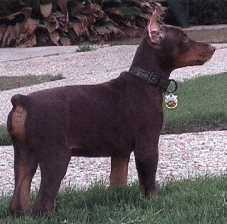 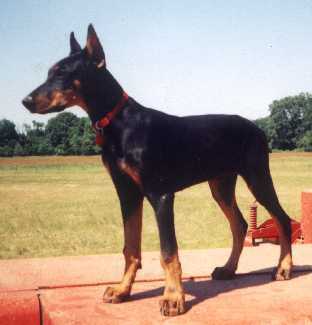 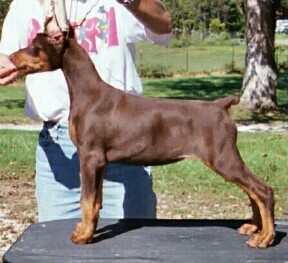 "Dutch Red Male (1999). 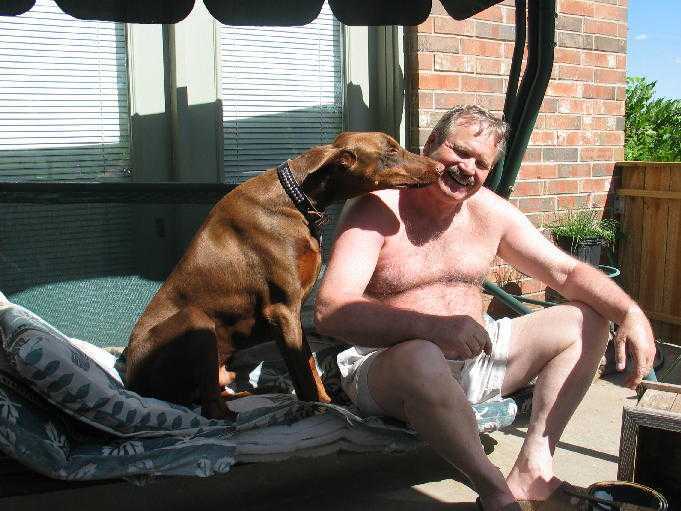 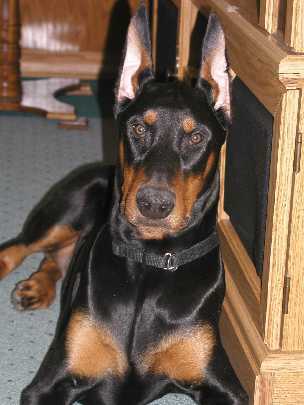 "Deuce" lives in N. Arkansas with his family of 5 and is quite the man. 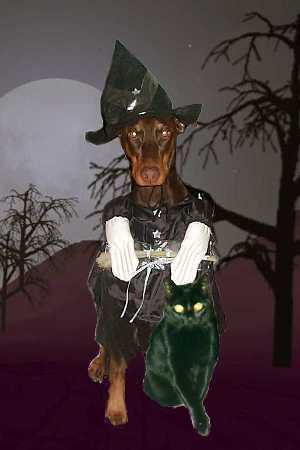 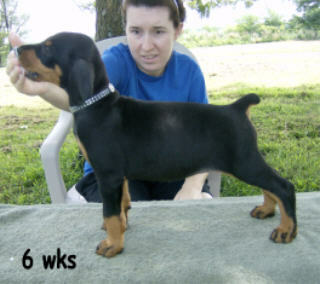 Deuce is a Flame/Vader puppy. 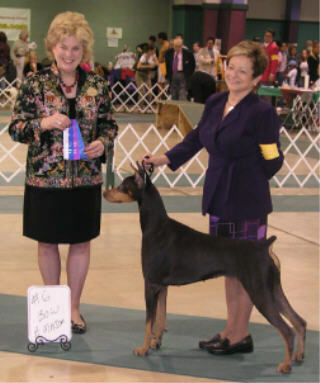 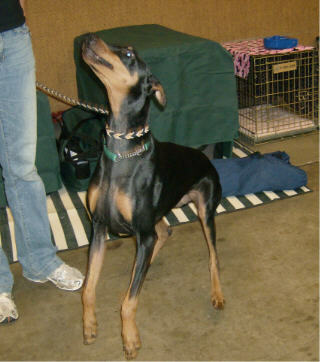 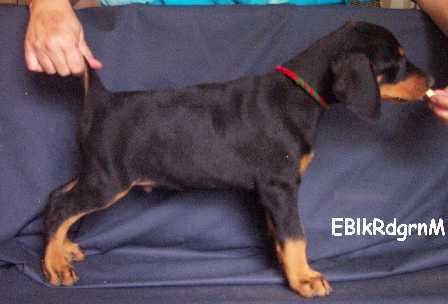 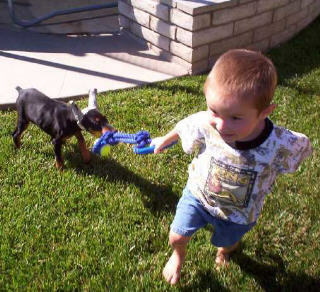 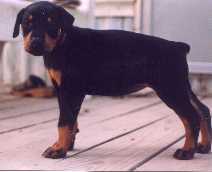 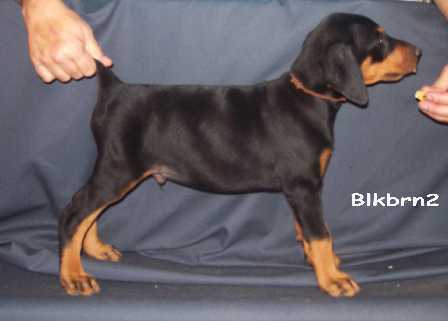 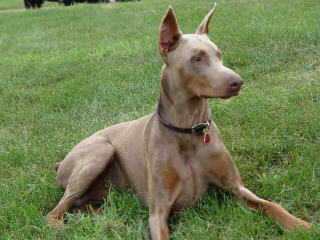 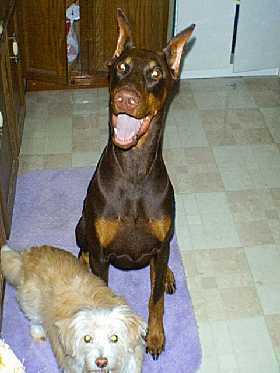 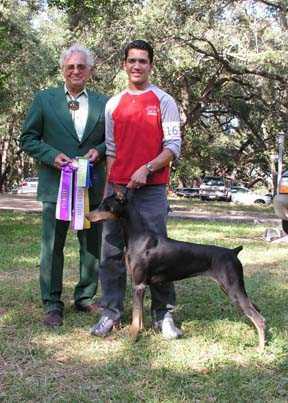 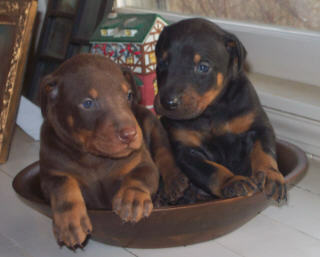 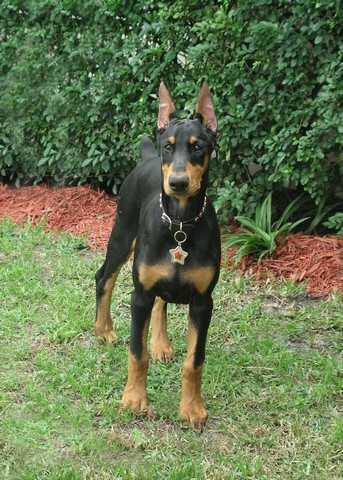 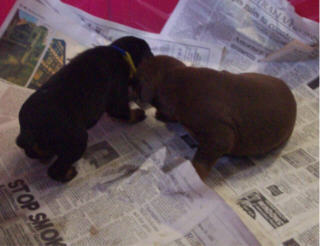 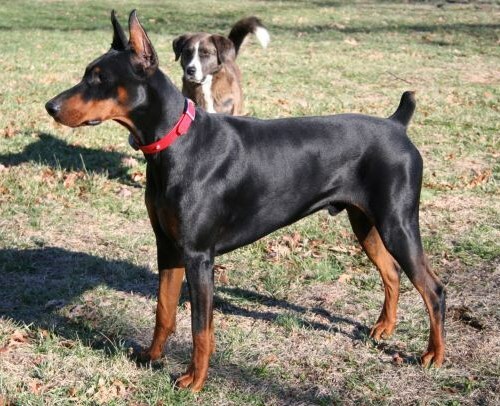 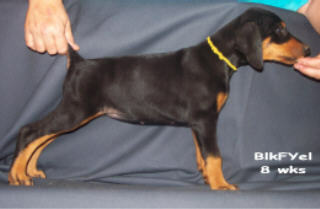 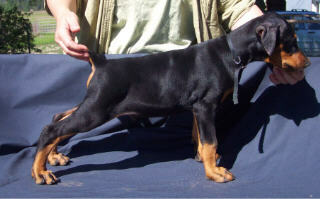 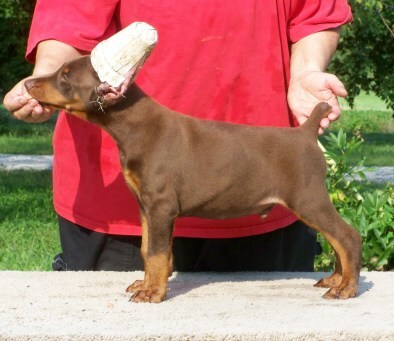 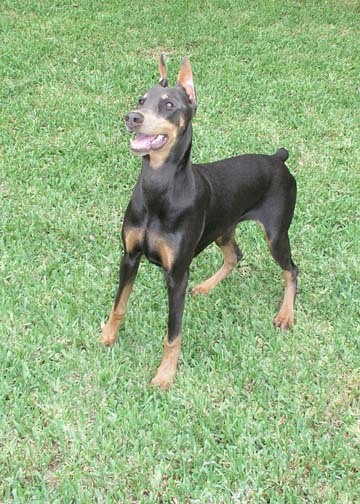 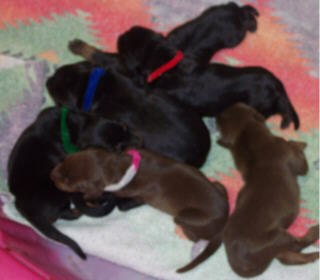 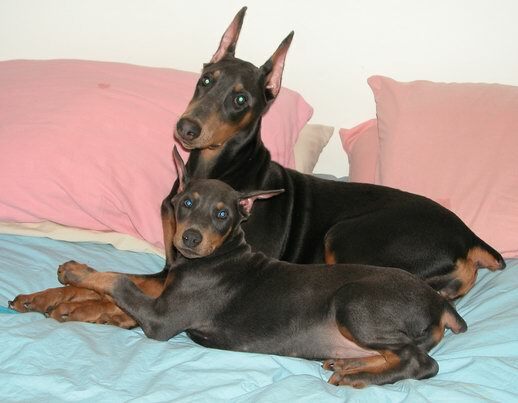 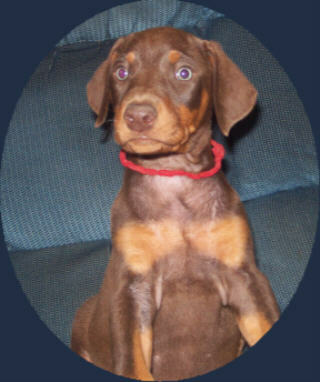 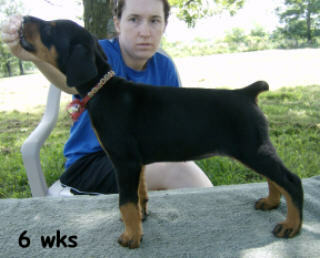 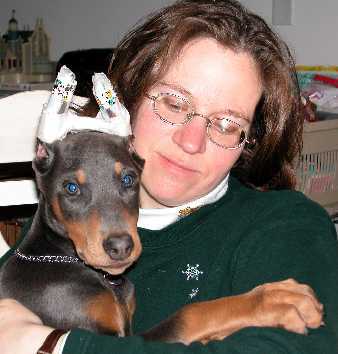 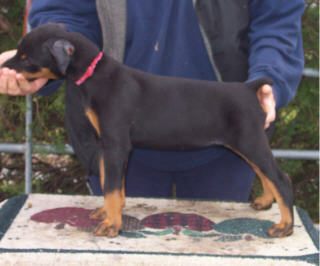 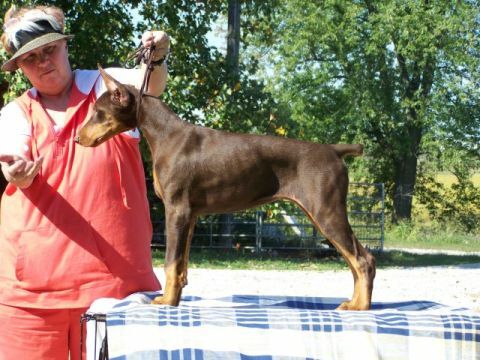 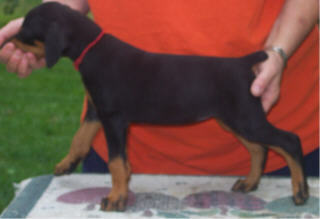 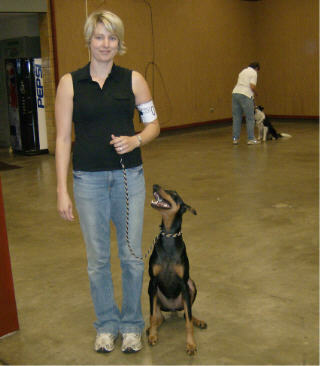 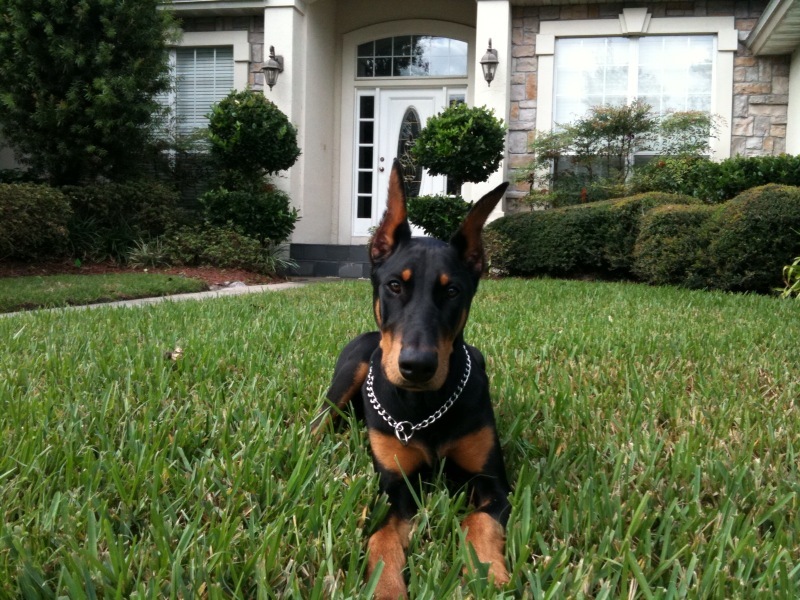 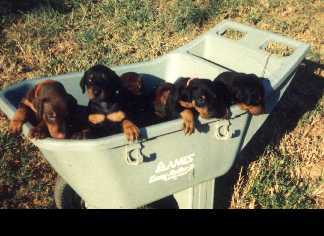 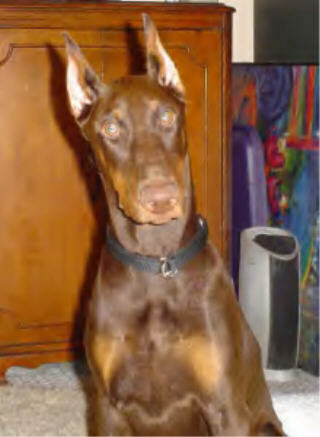 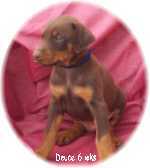 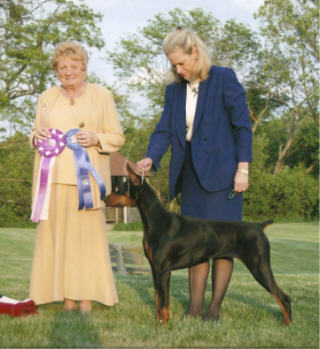 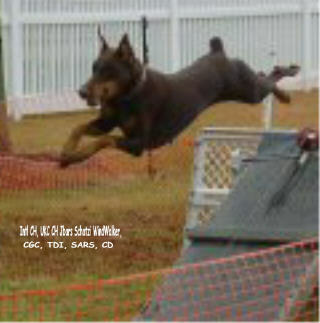 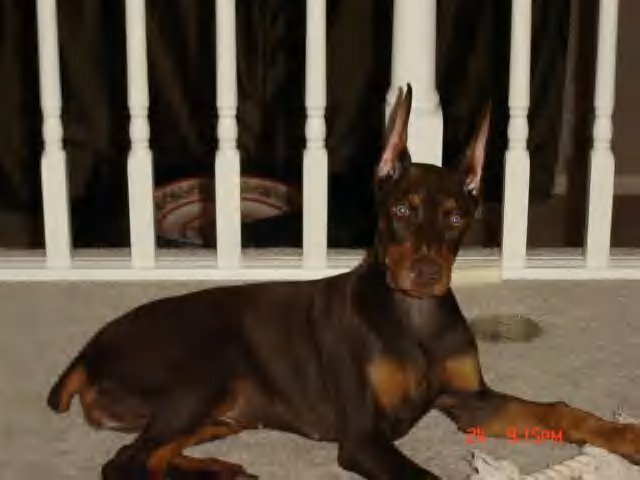 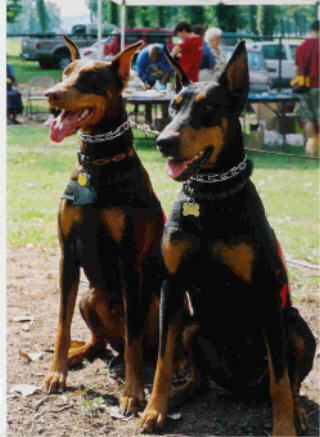 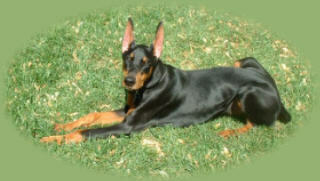 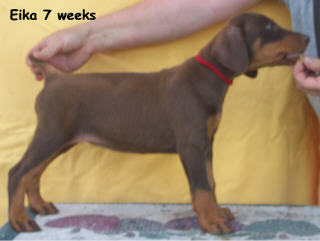 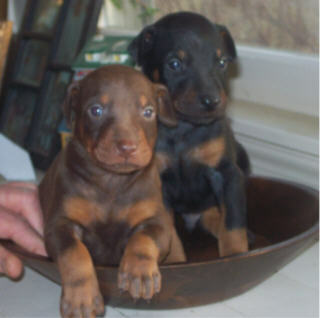 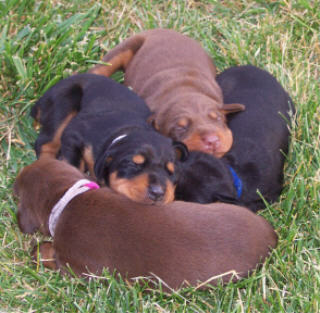 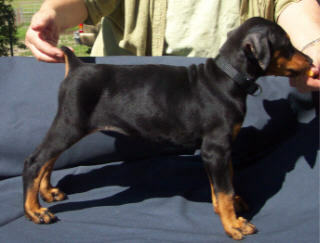 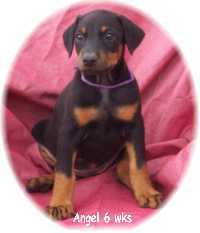 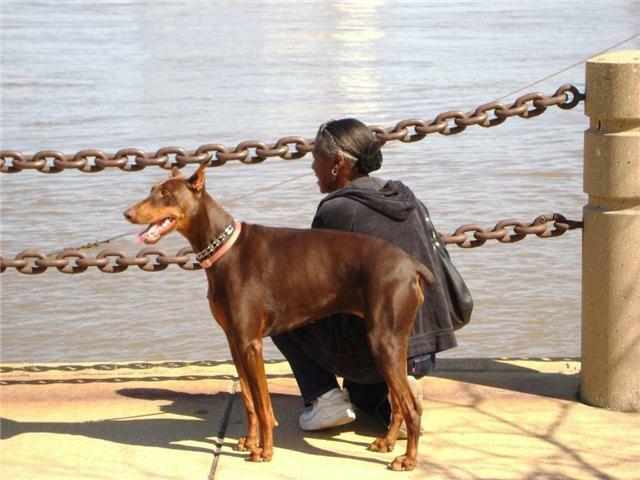 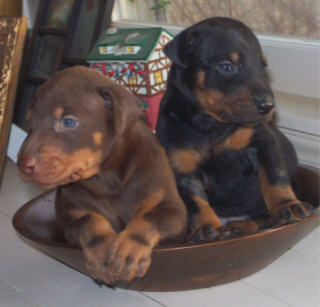 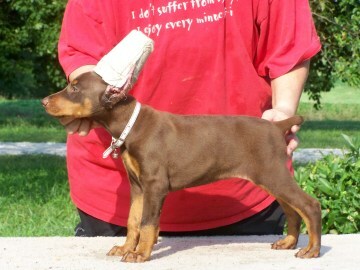 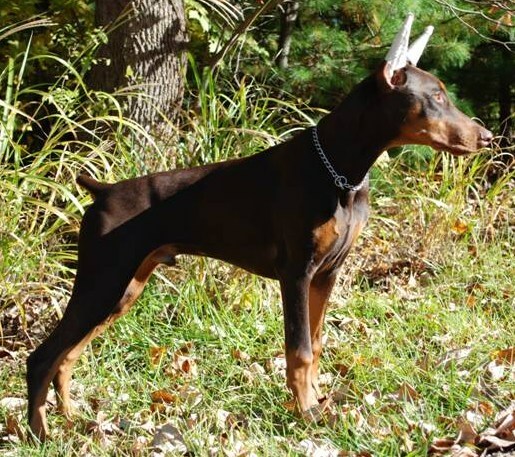 Please click below to send us information to help you with your search for the right Dobie puppy.